Ever been to Legoland, man? Ever been to Legoland on waterslides? 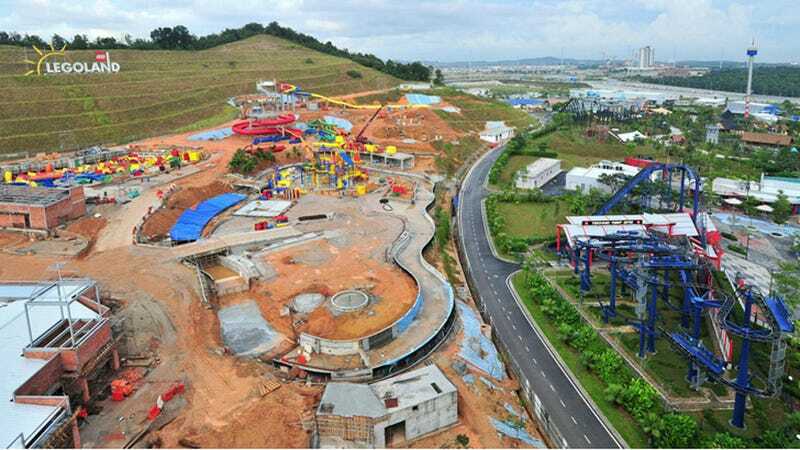 Visitors to Legoland Malaysia will soon be able to, once the largest such waterpark on Earth opens in mid-October. Spanning more than three million square feet, the new water park consists of more than 50 million individual bricks throughout its 70 display models and 40 rides, shows, and attractions. It's located in Iskandar, about 50 km outside of Singapore, and will feature a unique attraction in its Build-a-Raft-River wherein you construct a seaworthy raft from oversized LEGO blocks.